Anthies stood on a rocky ledge, overlooking a cavern floor strewn with the skeletal remains of what appeared to be several hundred humanoids, the flesh long decayed from most. A glance towards the far end of the cavern revealed the reason for all those skeletons. A large turtle seemingly formed from the same rock as the cavern itself stood blocking the only path available. “I don’t suppose we can reason with it, can we?” Anthies said wryly. He absently shifted the shield slung across his back, and placed a hand on the haft of his axe. An orc, clad in full-plate armor hefted his large two-handed sword, made of what appeared to be solid obsidian, and laughed. “You paladins have got wings. I’ve seen ‘em!” Amuyam, the other orc in the party, chuckled as well, though the laughter barely touched his eyes. Unexpectedly being dropped into a chasm had soured his mood a bit. 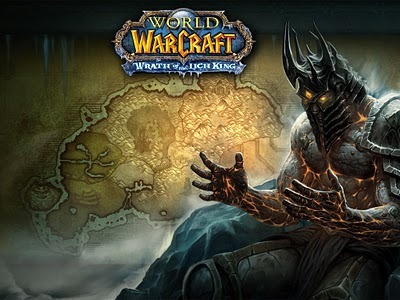 “Our wings are mostly just for show, Ruin.” Anthies answered the death knight with a smile. “Altitude has never been our strong point.” Fellthar agreed. Anthies turned towards the two druids and the remaining paladin. “Celesx, Ldywrath, Natishka, What do you ladies think, you’ve been remarkably quiet.” Without a word the druids’ shifted into their tree forms, and Natishka just smiled and hefted her two-handed sword, Doombringer. “Like Phantom said, if we must kill it, let’s get it over with. 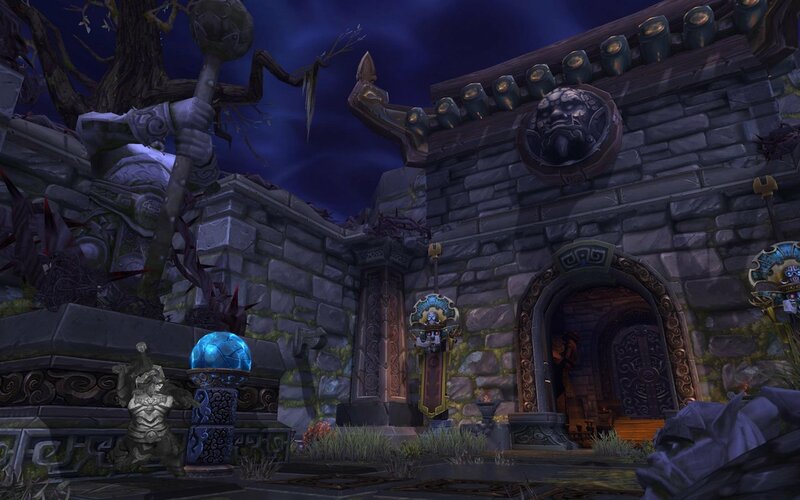 We must reach Lei Shen, and stop him!” Lectron rumbled, the normally reserved shaman’s eyes shown fiercely. Anthies watched silently as Fellthar charge towards the giant turtle. It was a system the two had devised to deal with foes. Fellthar would make the first strike to get the creature’s attention, and he would assist him, and deal with any other enemies that might try to flank them. A shimmering field of pure Light surrounded Fellthar as he slammed into the turtle shield first. At the same instant the cavern erupted with the sound of battle as the rest of the group attacked. A stampede of wild animals rushed past Anthies as he ran towards the turtle. He ignored the beasts, knowing that they belonged to the two hunters, Amuyam and Aesdyne. This was not the first time he had seen them in action. Mushrooms bloomed on the rocky floor as the druids channeled their healing spells to counter the damage the turtle was doing to Fellthar. Anthies whispered a prayer, and wings made of pure golden Light appeared on his back and the Light surged through him, giving him strength. With a roar, he threw his shield, now glowing with the same golden light as his wings towards the turtle, and after it slammed into it, it immediately returned to him. Movement out of the corner of his eye distracted him, and he heard Fellthar yell, “More turtles, careful! !” At that instant the giant turtle reared up and slammed back into the ground, shaking the entire cavern. Anthies barely kept his feet as he turned to assist with the turtles that had joined the fight. They were dispatched quickly, leaving hollow shells once they died. Through the roar of battle, he heard Nathishka scream at him. “Anthies, bats! You must keep them off of Fellthar!” With a curse, Anthies looked towards where Natishka pointed. A large swarm of bats had been awaked by the noise, and were rapidly descending. Sprinting, Anthies hurled his Light-infused shield into their midst, hoping to draw their attention away from the rest of the group. They screeched and swarmed over him clawing and biting at his face and arms. Another prayer to the Light escaped him, and the ground beneath his feet burst into a circle of Light, burning the bats and the turtle as well. Anthies could see Phantom, a shining nimbus of holy light, and screamed. “Phantom! Bat! Look out!” Before he could move towards the priest, a hand of black unholy energy grabbed the bat and drugs it toward where Ruin was standing a few feet away. “You owe me one, priest!” Ruin yelled, as he turned back towards the giant turtle. Anthies grinned in spite of himself at the unlikely alliance that had been formed amongst the group of heroes. More bats poured from the ceiling, and he was desperately trying to keep their attention focused on him. He felt one of the bats claws rip into his neck, and screamed as blood poured from the wound. His vision began to fade, and he tried to channel the Light to heal the wound, but found he could not speak. “You don’t be dying on me now, elf.” he heard a thick troll accent say. Celesx winked at him and returned her attention to Fellthar, surrounding him in a glowing green light. The fighting had gone on for what seemed like hours, but in truth, only minutes had passed. The great turtle was showing signs of weariness itself, blood pouring from the many wounds the heroes had given it. Anthies’ breath came raggedly, his arms and legs leaden. The turtles thrashing had caused large stalactites to fall from the roof of the cavern, and one had nearly crushed him. He was certain that his shield arm was broken, and likely several of his ribs. He took a deep breath, and summoned the last of his strength. If he was going to die here, he would do what he could to ensure his friends survived at least. Screaming, he summoned a hammer of pure Light and cast it into the ground at Fellthar’s feet. Several of the bats were swarmed around the other paladin, their claws ripping into his cloak and armor, seeking flesh. Lightning arced from the hammer, and ripped into the bats. Anthies threw himself into the seething mass, flailing about with his axe, drawing them away from Fellthar. He heard Lectron scream “Look out!” and hurl one of the empty shells left behind by the smaller turtles towards the giant turtle. The shell struck the turtle just below it’s right eye, stunning it, and stopping the great intake of breath it had been inhaling. Fellthar turned to see the axe slip from Anthies’ hand and his body crumple to the ground in a heap. Fellthar looked around frantically and yelled. “Ldywrath, heal him!” the tauren druid’s eyes were somber as she looked at Anthies’ broken form. “I can do nothing for him in the midst of this battle, Fellthar, I’m sorry.” She pivoted as a smaller turtle snapped at her. “We must defeat this creature if we are to save him, or any of us.” she cried out. Lectron scooped up the paladin’s body and summoned the raw power of the elements, infusing it into those left standing. “End it now, Fellthar!” Lectron growled. Fellthar screamed and Light surged around him “LIGHT, GIVE ME STRENGTH!” Pure bloodlust filled the heroes and they poured every last ounce of strength they had into their attacks. Bats continued to swarm around them, and the smaller turtles surged into the cavern, trying to overwhelm them. With a loud anguished moan, the giant turtle shuddered and for an instant was still, before crumbling into a mass of shattered stone. Lectron gently laid Anthies on the stone floor, and Celesx’s hands glowed with a soft green light, that slowly infused the paladin’s body. The rest watched anxiously as his wounds closed slowly. Finally, Anthies’ eyes fluttered open, and he took a shallow breath. “I…I think my shield is broken.” He said faintly. Spiffy catches a lot of grief from us regarding his alter ego, Mr. Classy. 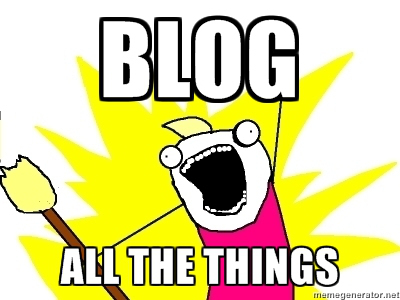 He requested a blog post, so I obliged. Be careful what you wish for, and respawn responsibly. I wasn’t quite sure how to respond whenever our raid leader, asked me if I was willing to tank for the 10 man progression group. I wasn’t even sure he meant to ask me at first. The regular off-tank wasn’t going to be able to make it to the raid on Friday, and I had to give it some thought before just blurting out an answer. I’d tanked Mogushan Vaults, and Terrace of Endless Springs, but Throne of Thunder was an entirely different beast. This was current, pre-nerf content. I accepted. 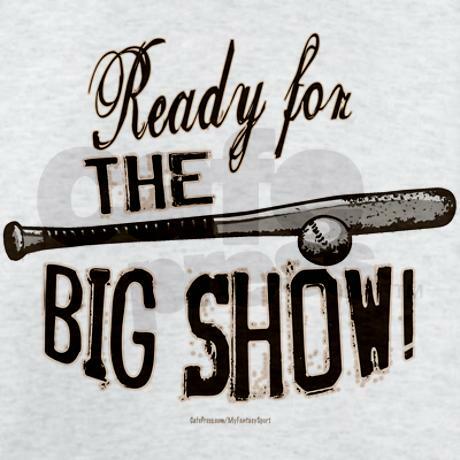 This was my shot, I’ve been called up to the Big Show. This is a term minor league baseball players use for being recruited to a major league team. This was how I felt about being asked to tank. 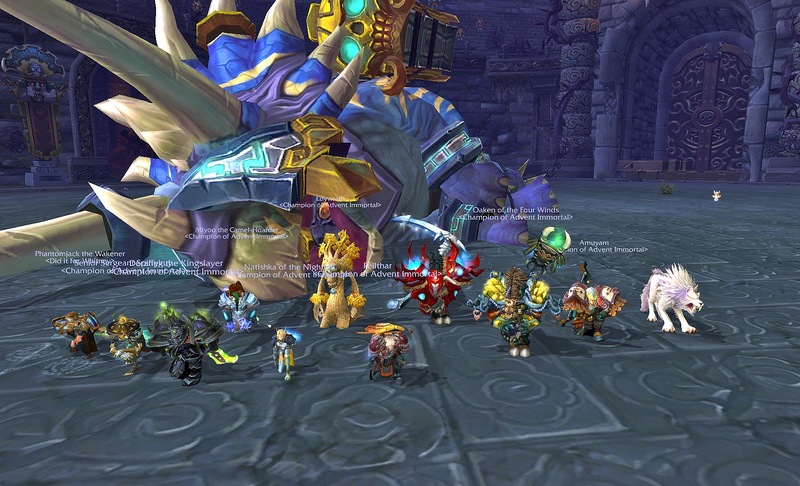 Our 10-man team had made remarkable progress in Throne of Thunder. I wasn’t sure how I would measure up to the rest of the raid. I have been constantly grinding Looking for Raid, world bosses, heroic scenarios, and anything else I could do that might yield an upgrade. 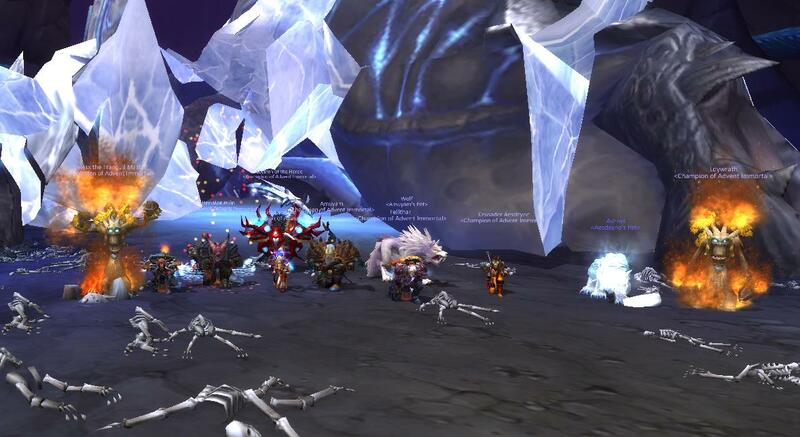 Our raid team usually requires a minimum ilvl (item level) of 500 for ToT. I was at 498. Our raid leader assured me it probably wouldn’t be an issue. I immediately started studying the fights. I watched the videos multiple times, and read over the different abilities related to each encounter. I didn’t focus so much on the strategies, because I wasn’t sure how our team handled each fight, I didn’t want to learn a fight one way, only to find out we do it another. I also sat down with our raid leader, who is also a Protection Paladin, and got answers to some questions I had regarding Paladin tanking in general. As I told him, I know what buttons to push, but at times I’m not sure why I’m pushing them. It was time to see if all my preparation was going to pay off. Raid invites started going out as I was finishing up some re-forging and gemming I hadn’t had a chance to do yet. Before long I was standing inside the entrance to ToT, looking at the first pack of trash. I’d been here before, but that was in a Raid Finder group, and I was Retribution specced that time. Very little time was spent looking at the trash mobs, because as soon as everyone had their food buff and flasks activated, the raid leader started pulling. I just followed along, and pulled my assigned target when instructed too. On the second trash pull, I pulled the wrong mob and died. I was off to a grand start. One of our druid healers battle-ressed me before I had even fully hit the ground it seemed. Nobody said a word about me dying, and I was relieved, but still embarrassed as hell. Who dies on trash?! I went on to die a second time, when the main tank was showing me how to pull the mobs on the wind-walk (my name for the walkway where the wind constantly tries to blow you off). I failed to get out of the way of the blue circle Spirit Guardian thing, and promptly got ejected over the side to my death. Everyone got a good laugh, and I was told it’s a rite of passage to die on that pull. From what I had learned, this fight would be fairly straight forward. The raid leader’s explanation confirmed this thought. He would pull first, and point Jin’Rokh in the direction he wanted. Whichever of us was thrown first, would immediately taunt once the stun wore off, and move him into the next position. Rinse, and repeat from a tanking perspective. We also rotated our Devotion Aura cooldowns to help mitigate the raid-wide magic damage. In what seemed like the blink of an eye, we one-shotted him, and I managed to do everything I was supposed to do without failing at anything. The hard part was still to come. This was the boss I was really worried about. My major stumbling block has been add control. I can move out of things, I can reposition bosses, but once the adds show up, I turn into the Derp Knight. Horridon, as you may know, has 4 waves of adds. As a tank, it was my responsibility to manage two of those four waves of adds when it came time. The result was, frustrating, at least for me. It took us a total of 4 (maybe 5) pulls to actually down Horridon and his army of trolls. I was responsible for the initial pull on Horridon, and then tanking the adds on the second and fourth doors. My first attempt on adds wasn’t pretty. The elite trolls were all over the place and nothing I was doing seemed to round them up. I’m in yer raid. Killing yer doodz! I did a little better on the second attempt, but my third try was horrible. I felt like I’d forgotten everything I knew about tanking. I had adds on the other tank, the healers, basically everyone but me. On the fourth attempt I finally got it together and managed to keep my adds where I wanted them, for the most part. I did end up dying, but that was due to poor CD management (a.k.a. I paniced), but Horridon went down anyway. We made a few attempts on the Council of Elders, but ultimately called the raid because a member had a severe thunderstorm rolling in, and had to turn off their PC. We experimented with different tank assignments on the Elders, and were making good progress on the fight. I’m fairly confident that we’ll get it in one or two pulls when we return. As for me, I’m going to do some more homework. Don’t forget to thank the healers, and as always; Respwan responsibly. I am Anthies. 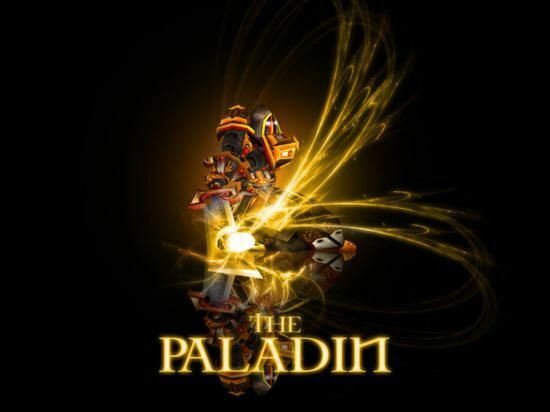 I am a Paladin. I am a Blood Elf. This is the most awesome combination of things in the known universe. Seriously. If you were looking for the most awesome combination of things in the known universe, you found it. No need to thank me. Ok, I might be exaggerating a little. I’m actually fairly mediocre, much to my dismay. I have been playing World of Warcraft for almost 9 years (I think?). I started right after the patch that added the original Naxxramas in Vanilla. We just called it WoW back then, I’m old school like that. I began my career as a WoW player as a Hunter, a Night Elf Hunter at that. I was young and naive, and I didn’t know any better. I played my Hunter right up until Mists was released. I got him to 90, and even did a little raiding on him before I decided that I didn’t really like all the changes that had been made to the class. It was time for a change. I gathered all my heirloom gear, mailed it to my newly created Blood Elf Paladin, and off I went into the world. I created a Blood Elf because I was fascinated by their lore, and the process by which they were able to become paladins in the first place. (I’ll most likely discuss this in a future post) The first 15 levels went by rather quickly, and the next 45 almost as quickly, it seemed. I chose Protection as my first specialization and leveled exclusively through the Dungeon Finder until I reached level 60. I switched to Retribution and quested my way through Outlands, Northrend and the Cataclysm zones. I arrived on the Mist shrouded shores of Pandaria about 2 weeks after creating this character. The next 5 levels felt like they took centuries to complete. However, I persevered, and with the support of my guildmates in <Advent Immortal> I reached level 90. This is the only other character I have reached level 90 with, and for good reason. I wanted to be a tank, but I was afraid to tank random groups. I was worried that I would mess up and that the other people in the group would get pissed off at me, or vote-kick me, or any number of other unpleasant things. I would run dungeons as Ret spec and hope that tank gear dropped that I could loot. This is not a very effective method of gearing out a particular spec, in case you were wondering. My wife finally talked me into tanking heroics with her healing, and we would bring as many guildmates as we could. Eventually, I grew more and more comfortable with my abilities as a tank. I still try to run with guildmates as often as I can, but that is only because I prefer their company to the silent LFD groups I often end up in. 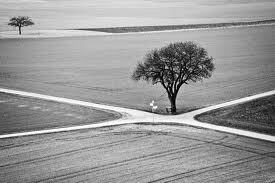 So this is the path I am on now. I am learning how to raid tank, and having more fun with WoW than I have since Burning Crusade. 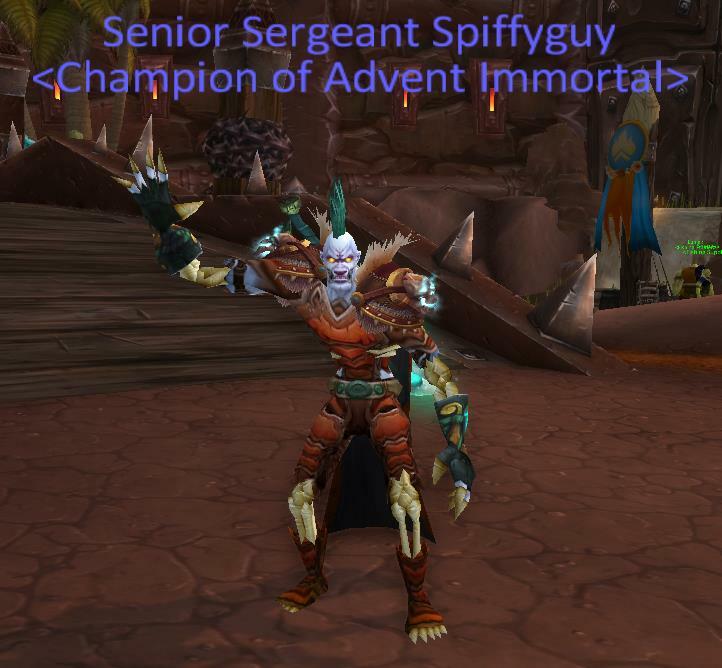 This is largely in part to my guild <Advent Immortal>, and I owe them quite a bit of thanks. They’ve been there every step of the way, and offered nothing but support and encouragement, as well as the title of this blog. 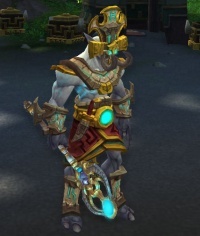 Also, if it weren’t for my wife reminding me that I’m too hard on myself, I’d probably still be running around in my Ret spec, pretending to be a tank, but never actually doing so. So there you have it, my long-winded, yet humble beginnings.